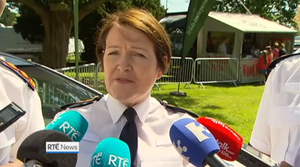 RTÉ crime correspondent Paul Reynolds reported that he obtained new documents in relation to the exchanges between Garda Commissioner’s senior counsel Colm Smyth and Judge Kevin O’Higgins during the Commission of Investigation into Sgt Maurice McCabe’s complaints. Mr Reynolds reported that the documents show Mr Smyth told the judge he was instructed, by the Commissioner, to challenge the ‘motivation and credibility’ of Sgt Maurice McCabe. This, Mr Reynolds reported, was because Ms O’Sullivan had to consider the welfare of all of the gardai not just Sgt McCabe. “Senior counsel Colm Smyth also said that it was on an error on my part when he said, earlier, that his instructions had been to challenge the integrity of Sgt McCabe. Meanwhile, also earlier tonight, journalist Katie Hannon revealed sections of transcripts from the O’Higgins Commission of Investigation in May and November, on RTÉ’s Prime Time. Smyth: “Yes. As the evidence will demonstrate judge…[later] this isn’t something I’m pulling out of the sky, judge, I mean I can only acting on instructions. ‘Anxious To Reassure The Public’ ‘We Shouldn’t Lose Sight Of The Victims’ ‘Nothing Has Changed’ How Many Now? Posted in Misc and tagged Katie Hannon, Maurice McCabe, Noirin O'Sullivan, O'Higgins Commission, Paul Reynolds, transcript at 10:35 pm on May 17, 2016 by Broadsheet. “…….and out to screw you Maurice….” Supt Reynolds. So was the record corrected after McCabe played the tape? The establishment is rotten and they don’t care that we know. This kind of generalised cynicism is the biggest, single problem. Specifics matter, nuance matters, intention matters, systems matter. ‘They’re all at it & shure isn’t it a Banana Republic’ is a licence for the greediest & laziest. Accountability is down to you & people like you. And we depend on these people to protect us from evil. Jesus Wept. you mean detective inspector Paul Reynolds? How is it RTE and the examiner have these transcripts? Sophistry, pure sophistry. This ‘clarification’ is a very bad joke indeed. Reynolds is nothing but a shill for the cops, everything he says is tainted…. 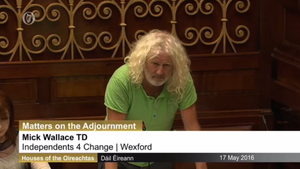 He was so breathless on Drivetime in his defence of the Gardai it was, well, breathtaking. No impartiality or distance evident at all. My thoughts exactly. Detective Inspector Paul Reynolds. That’s clear to me. The judge says, ‘you can’t say that, you would have to say “malice”, do you want to?’ and the SC agrees. The judge may have introduced the word “malice”, but the counsel signed up to, after being tutored in law by the judge. RTE’s Reynolds gets this transcript, tries to spin it for the establishment to indicate that wee Nora’s SC didn’t accuse McCabe of malice. He claims the papers have other papers that suggest something different, so it’s all confusing for the plain people of Ireland and we’ll never really understand the legals of it. On the popular Six-One news, watched by everyman. 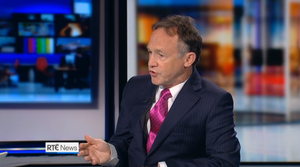 Then RTE’s Hannon reads the transcript, that clearly shows the SC did accuse McCabe of malice. On the not-so-popular Prime Time. RTE spreading misinformation and confusion on the one hand, yet claiming journalistic credibility with the other. Standard stuff from RTE. Nothing to see here. Absolutely, the State station. A regular dollop of misinformation and bias by RTE. 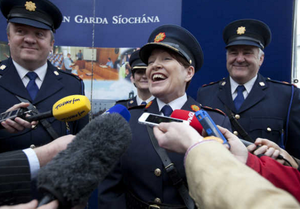 If the Garda Commissioner was a man he’d already have been fired. With a nice big golden handshake and pension. The spin on ‘clarification’ is as clear as muddy water at accelerating velocity in the sewer whirlpool that may yet pull down another commissioner and justice minister. 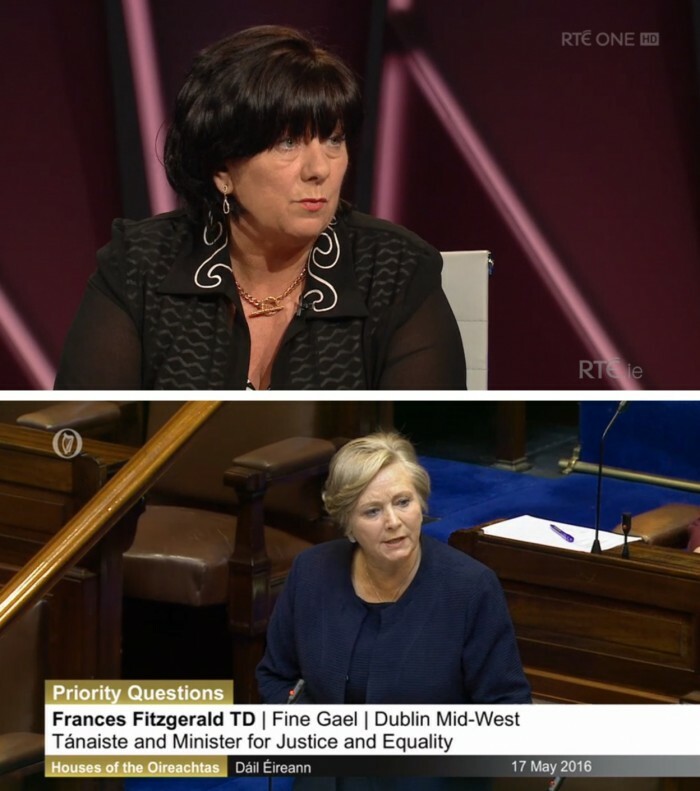 Oh, and include FF diving down same-said plughole, by so cravenly facilitating Edna’s minority, they abandoned their opposition role at the first opportunity with their silence and left that leadership to Clair Daly to cut the legs from under Frances Fitzgerald in the Dail with some effective follow-up by Adams. The Commissioner instructed me to attack McCabe in any way I saw fit. Now she’s asked me to take one for the team. Conclusion: The Gardai are rotten from the top down and the Minster is complicit. What are they protecting? Is it as petty as careerism within the force or is it something else..if they keep obfuscating and character smearing, imaginations will start to wonder..I’d understand if it were a gang of organised criminals, trying to hide the inner workings of their illegal activities from the law but it’s the national police force of the State, the citizen is not the enemy, transparency should be expected and encouraged due to the unique nature of the organisation and the blindingly obvious scope for abuse, regardless if abuse of power exists or not. Its classic Irish lack of accountability and circling of wagons. You need some outside oversight with actual power, or else an outsider brought in to run the organisation (the latter not likely for a variety of reasons, some quite reasonable). Remember when Garda Paul Reynolds was very annoyed with Ireland for siding with the GSOC. He was visibly irritated.